14. February 2017, Oslo – Aker BioMarine has awarded a contract to VARD to build a state-of-the-art krill fishing vessel that will fish in the Antarctic. “This is the largest single contract VARD has ever received for a fishing vessel, and we are very happy to have entered a shipbuilding contract with them. This will also contribute to securing Norwegian jobs in the future,” says Webjørn Eikrem, EVP Production and Supply Chain at Aker BioMarine. “Aker has, since Aker BioMarine was established in 2006, focused on sustainable krill fishing. From day one, we have worked with WWF Norway. The krill fishery in the Antarctica is one of the most sustainable fisheries in the world, and Aker BioMarine hopes to yet again set a new bar for sustainable harvesting with this new vessel. Norwegian skills and new technology will help us reduce our carbon footprint even further with this vessel,” says Matts Johansen, CEO at Aker BioMarine. The new 130-metre-long krill vessel will be equipped with the latest and most advanced eco-friendly technology. All plans and specifications are developed in cooperation with fishermen from Aker BioMarine and engineers from VARD. The vessel’s operations will be energy efficient, with a production and processing facility capable of processing raw krill material in the Antarctic. The contract has a financing clause, with Aker BioMarine seeking finance through the Norwegian Export Credit Guarantee Agency (GIEK). “We have a good financing plan and look forward to beginning the application process with GIEK immediately,” says Matts Johansen. Construction is planned to begin in May this year ­– and the vessel is expected to complete at the end of 2018. The total value of the contract is 1 billion NOK, including buyer’s supplies. According to the plan, the new vessel will be in operation in the Antarctic from the beginning of the 2019 season. Aker BioMarine is a biotech- and fishing company dedicated to securing human and planetary health. The company develops krill-based ingredients for use in nutraceuticals, aquaculture and animal feed. The company supplies biomarine ingredients through a 100% traceable supply chain that it also owns and controls. 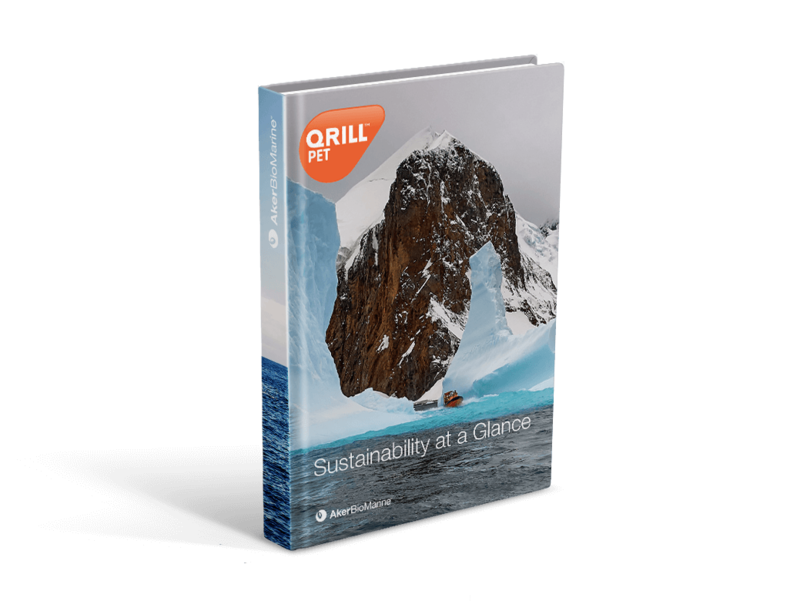 Aker BioMarine was the first krill company to be awarded Marine Stewardship Council (MSC) certification.